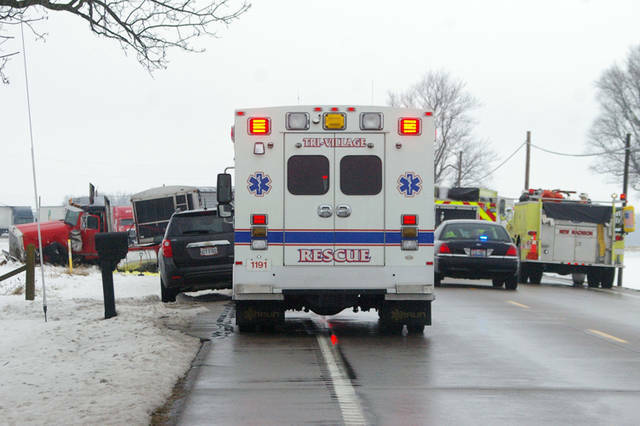 A Hamilton man was killed Thursday afternoon in a head-on collision when he attempted to pass a semi tractor-trailer on U.S. Route 127. 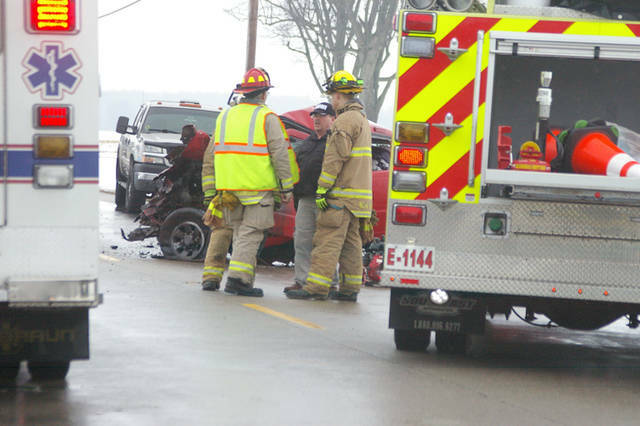 DARKE COUNTY — A Hamilton man was killed Thursday afternoon in a head-on collision on U.S. Route 127, which was Darke County’s first fatal traffic accident of 2019. 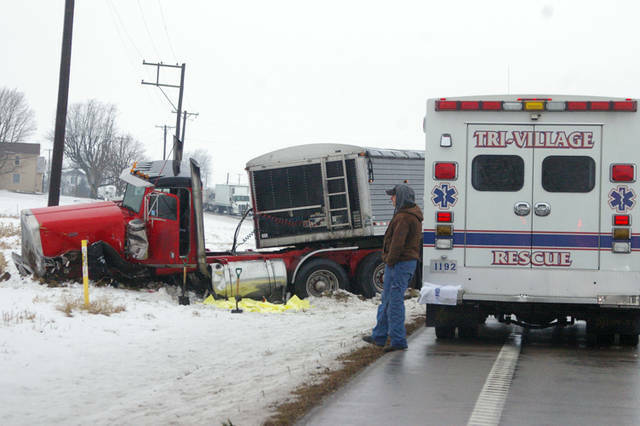 According to a release from the Darke County Sheriff’s Office, John K. Cecil, 67, of Hamilton, was killed while attempting to pass a semi tractor-trailer shortly before 1 p.m. just north of State Route 503. Darke County deputies along with Tri-Village Rescue, New Madison Fire Department, Darke County Sheriff’s Office Accident Reconstruction Team, Ohio State Highway Patrol Motor Carrier Enforcement and Darke County Coroner’s Office all responded to the scene of the crash in the 3000 block of U.S. Route 127. Investigations revealed Cecil was traveling northbound in his red 2003 Ford Ranger pickup truck when he attempted to pass a semi tractor-trailer. 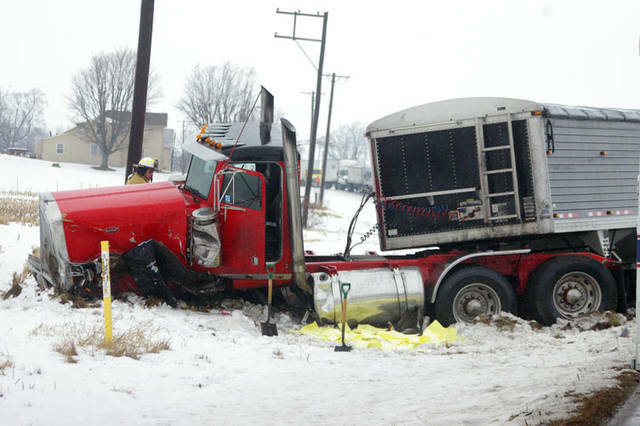 Cecil’s vehicle collided head-on with a southbound red 1989 Peterbilt semi tractor-trailer driven by Travis D. Hertel 36, of Liberty, Indiana. 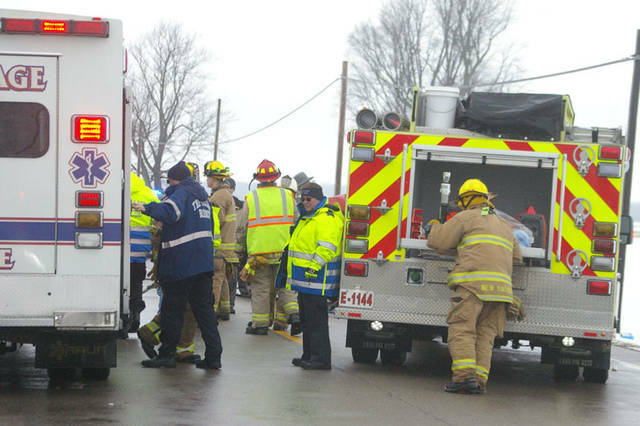 Cecil was pronounced dead at the scene, and Hertel was treated and released. Darke County EMA also was on scene for a diesel fuel spill into the side ditch. U.S. Route 127 was closed for approximately six hours for investigation and diesel fuel clean up. 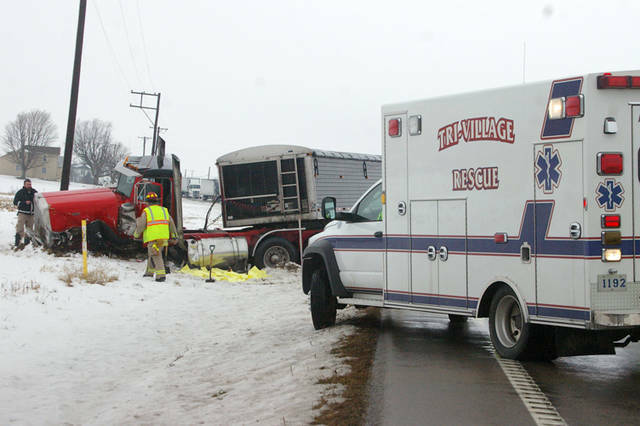 This accident remains under investigation by the Darke County Sheriff’s Office. This entry was tagged Coroner, crash, Darke County Coroners Office, Darke County Sheriff’s Department, Darke County Sheriff’s Office, Darke County Sheriff’s Office Accident Reconstruction Team, Hamilton, Indiana, Liberty, New Madison Fire Department, Ohio State Highway Patrol, Ohio State Highway Patrol Motor Carrier Enforcement, Tri-Village Rescue. Bookmark the permalink.